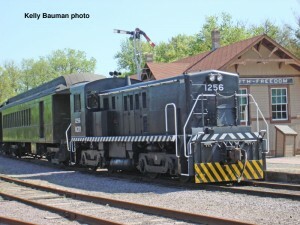 #1256 at Mid-Continent, May, 2007. Kelly Bauman photo. U. S. Army Nos. 1247 – 1276. The largest Whitcomb order that was transferred to Eddystone for manufacture consisted of 74 D-E, 400 HP, multi-gauge locomotives. 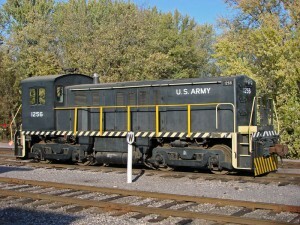 These units were given class number RS-4-TC (Road switcher service – 4th military class – Transportation Corps) and manufactured between July, 1953 and January, 1955. #1256 in October 2006. Tim Martin photo. Numbers 1247 – 1273 were assigned to domestic service. Whitcomb c/n’s 61201 – 61269 were assigned to the units numbered USA 1247 – 1273. 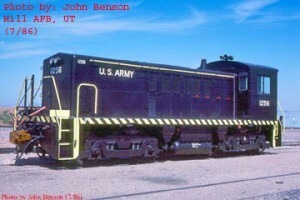 These were low profile locomotives that were built to operate under conditions of restricted clearances. 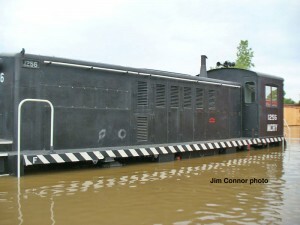 #1256 during the catastrophic flood, June 11, 2008. She has since had her running gear completely rebuilt. Jim Connor photo. 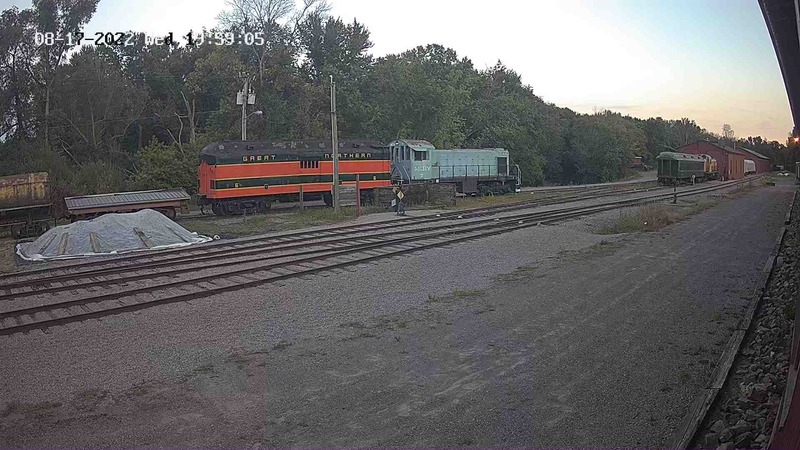 These units were powered by a Caterpillar model D397, V12 diesel engine rated at 400 H.P, which were connected to Westinghouse electric transmissions that consisted of a model 1604 main generator, a model YG49D auxiliary – exciter generator, and four model 974 traction motors. #1256 leads the daily train at Ulrich Road on Sept. 8, 2007. Tim Martin photo. The 1256 was originally delivered to Sharpe Ammo Depot in Lathrop, California and placed in storage. It was later used at Detroit Tank Plant. During Snow Train™ 2008. Tim Martin photo. The 1256 was re–manufactured by Construction & Mining Services at their TEAD Annex facility in October, 1986. The rebuild included a Caterpillar 3508 diesel engine, 26L air brakes, new electrical cabinet and gear, MU capability, and roller bearing axles. The new class number is RS–4-TC–A1. The unit weighs in at 60 tons, produces 500 H.P, and is geared for 35 MPH. #1256 at Hill Air Forrce Base, July 1986, just after rebuild. John Benson photo. Sometime between 1991 and 1994, the 1256 was shipped from Hill Air Force Base in Utah to the Badger Army Ammunition Plant near Baraboo, Wisconsin. The 1256 replaced the not yet rebuilt 1262 at Badger. In the spring of 2006 the Army decided to dispose of the 1256. The Army and Spec Pro (the operating contractor at BAAP) granted permission for the 1256 to be shipped to Mid-Continent and either stored or placed in service until the final disposition is known. 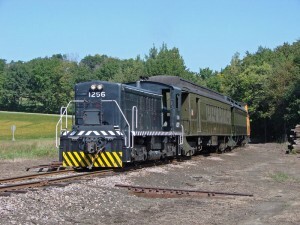 The 1256 arrived, via the Wisconsin & Southern Railroad, at North Freedom on September 14, 2006. The 1256 then went up for auction by Spec Pro. 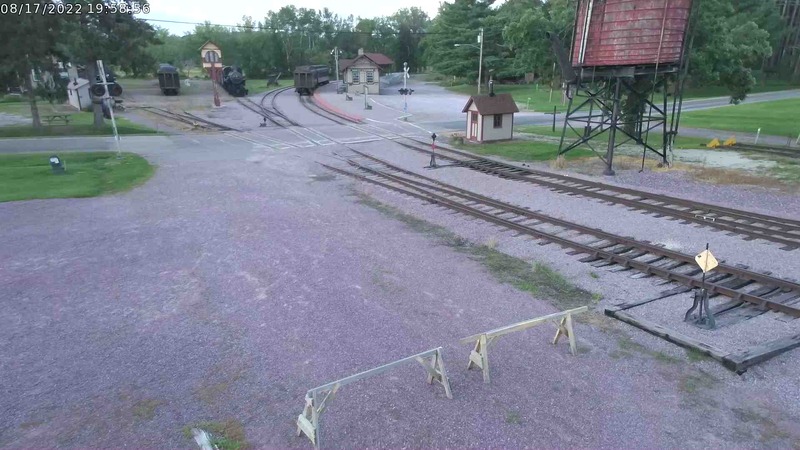 Members and friends of Mid-Continent pooled their money and placed a bid on October 17, 2006, and were the successful bidders for the locomotive. After being granted ownership, the successful bidders donated 1256 to Mid-Continent. 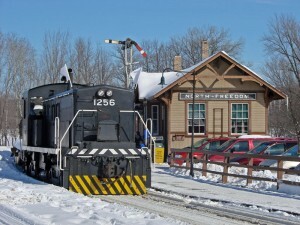 The 1256 pulled its first train at North Freedom on April 28, 2007 at a members run on the Spring Fling weekend.